The game was all but over as a contest within the first five minutes as Binfield came flying out of the blocks. They were 1-0 up after only 90 seconds, when a shot rebounded out to the right hand side of the box who floated a ball deep across the box where Eddie Lee was on hand to tap it home past the sprawling goalkeeper. Two minutes later the Moles doubled their lead when Sean Moore collected the ball on the right hand side, cut inside onto his left foot and curled a shot, which deflected and flew past the Buckland 'keeper to make it 2-0 without five minutes even having elapsed. Binfield settled into a nice rhythm, attempting to play passing football against a rather physical Buckland side and could have extended their lead in the 37th minute when Eddie Lee was played in behind the Bucks defence on the right wing and he rounded the onrushing keeper, but his pull back to Sean Moore came a little too late and he was crowded out before he could get a meaningful shot away. The second half continued in the same pattern as the first, however it was only ever Binfield who looked like scoring. Firstly, Eddie Lee was sent through and found himself 1 on 1 with the goalkeeper, who produced a fantastic reach and stop as Eddie tried to round him. After a period of Binfield pressure, with Buckland looking to counter, Jamie McClurg robbed the breaking Buckland defender and played a perfectly weighted ball to Sean Moore, who took a touch and then curled just wide from the edge of the box. Sean will probably tell you it was the perfect sighter for him, as just three minutes later, he received the ball in a similar position and this time rolled the ball through the defence and past the diving goalkeeper to make it 3-0 and seal the game for the Moles. The game had already been beginning to get a bit stop-start before the goal, as tackles started flying in and the referee was making no friends with either bench or players. In the 72nd minute he then made the big decision to send off Jeff Brown as he caught a Buckland player on his follow through having won the ball initially. 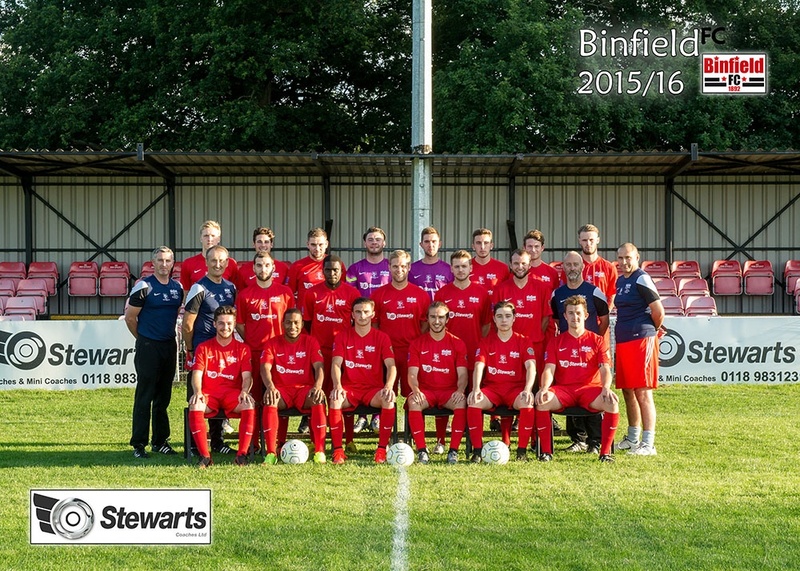 The match then petered out, with Binfield putting in a fantastic 20 minutes of defensive football and not offering Buckland a chance, despite their possession and pressure to ensure that we will be in the hat for the draw on Monday lunchtime.